After the deadly Amtrak wreck in Philadelphia earlier this year that killed five, some lawmakers wanted to see a speed enforcement system implemented right away. 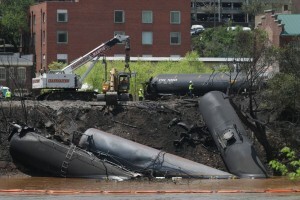 However, this week Congress passed a bill that will delay mandates for railroads to add such safety upgrades. After the derailing in May, the CEO of Amtrak pledged to make the safety upgrades by the end of the year. However, the new bill will delay the upgrades for 3-5 years. Amtrak has stated that they will try to get it done in three years. A congressman from PA stated this week that it is everyone’s best interest to delay the safety upgrades until it is possible to get them done safely and fully. He added that if Congress decided to penalize the railroad companies now, it would only lead to reduced rail traffic, which would only hurt consumers. It saddens us, as railroad accident attorneys, that this derailment ever occurred, and it’s even sadder that the necessary safety upgrades to prevent such tragedies are being delayed. 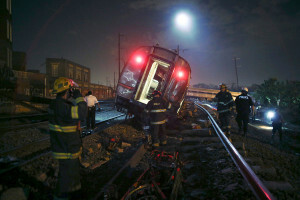 We have seen all too many times how railroad companies will sacrifice public safety for profits. Some of these companies simply put the bottom line for shareholders above all else. A recent case we handled was where a railroad conductor was hurt on a train car due to an insecure, loose side ladder. He had a serious back injury that required surgery, and he could not return to his job. Of course, the railroad denied they had anything to do with the injury. Our team argued that the loose ladder was a regulatory violation, so we did not have to produce any evidence that the railroad knew about the problem ahead of time. Through the expert testimony of a railroad safety specialist, we showed that relevant safety appliance act regulations had been violated. We reached an $825,000 settlement.